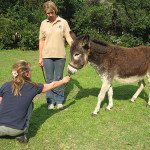 The first time I ever spoke to Liz was when she phoned me to make an appointment for my interview to do the Diploma in Animal Healing. 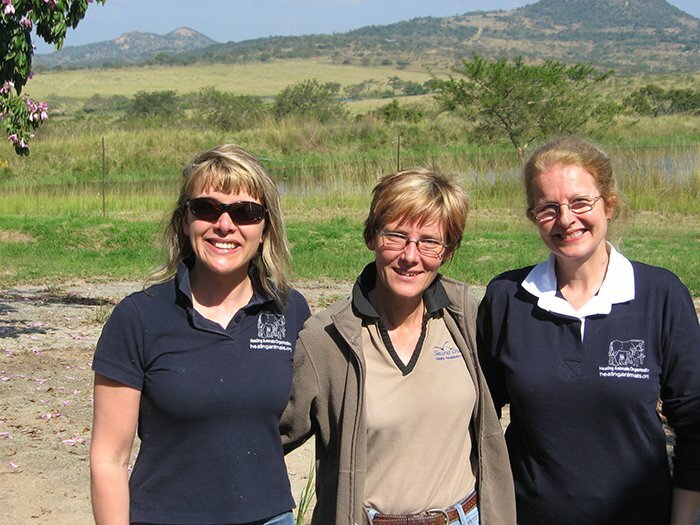 It was October 2009 and I’ll never forget her words: ‘We’ll be going to South Africa and you’ll be my assistant’! I had just relocated after teaching on the African continent for 27 years and had no plans to return so I was surprised but excited to hear this! 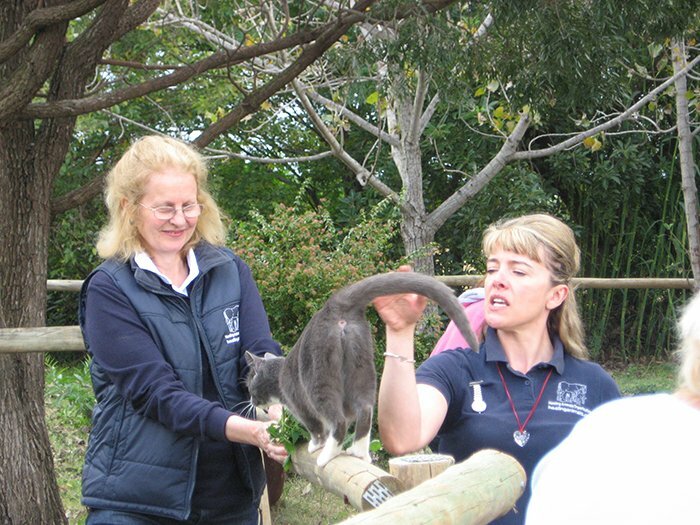 Liz invited me to accompany her to South Africa as she was keen to set up firm links with animal rescue centres, offering healing and animal welfare skills. 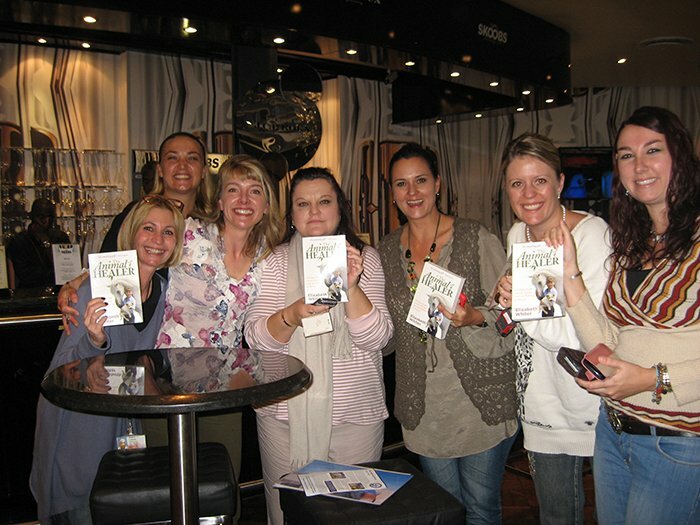 With the help of my contacts there and the Hay House publishing agents based in Johannesburg we organised a very full itinerary. 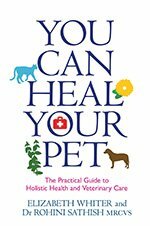 Liz and I were staying with Carol Pearce – an animal communicator and healer who had helped me deal with the passing of my two doggie best friends before I returned to live in UK. 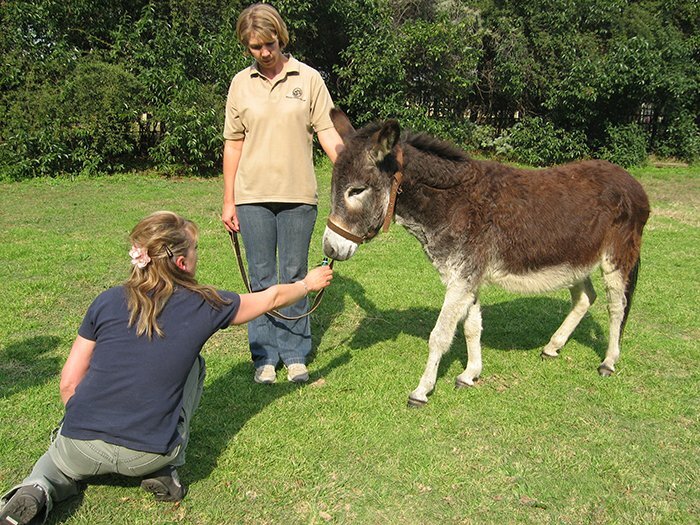 Carol had kindly offered to put us up for a few days and ferry us around to various animal sanctuaries in the area. 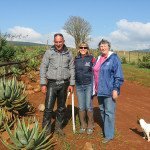 We met Liz at Nelspruit airport on Saturday 30th April and took her to the magical gardens of ‘Kirby Lodge’ where she could swim in a saltwater pool and unwind from the long flight. 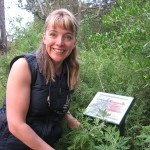 The Swiss owner, Isabelle, welcomed us warmly – I had stayed there several times in the past and knew she loved animals and nature. Liz led us in a moving meditation outside as the sun set – a beautiful beginning to our African experience. 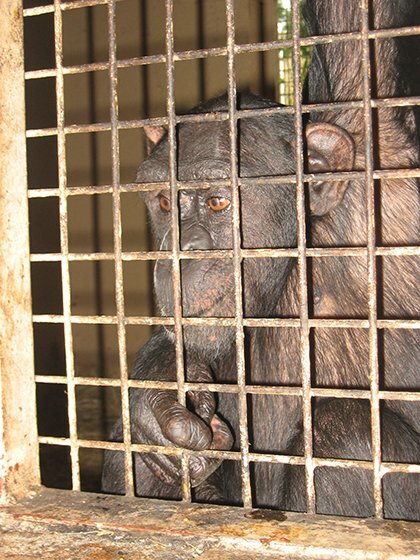 Sunday 1st May was spent at Chimp Eden – one of the sanctuaries for rescued chimps founded by Jane Goodall. 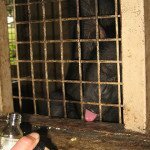 Although we started with only two chimps in the ‘night sheds’, word soon spread and the others lined up outside hoping for a sniff! They were fascinated by Liz’s homemade macerated oils, pouting their lips to breathe in the smells through their mouths. 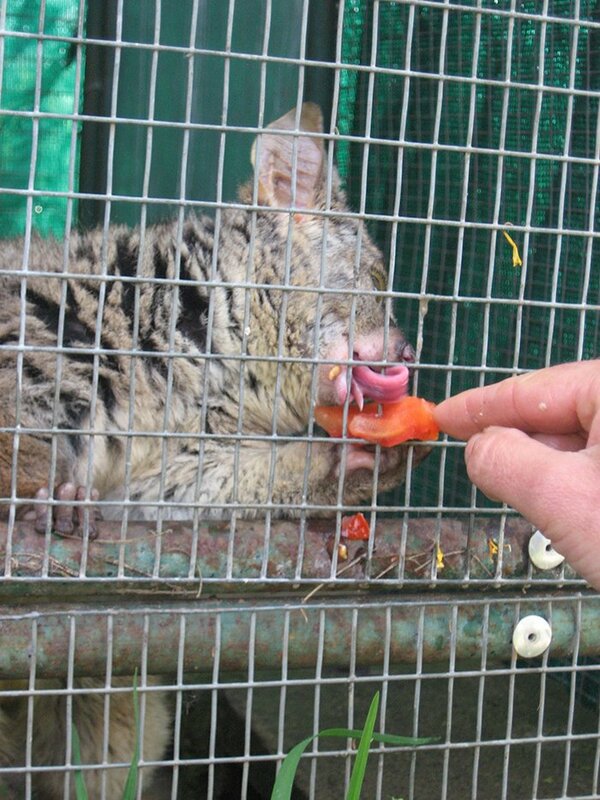 If they liked what they smelt, they would push their fingers through the mesh to get some to taste. 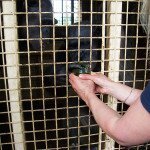 They would patiently wait for Marc (their keeper) or Liz to stroke the oil on their finger before withdrawing it to smell and then lick – you could see them processing the different flavours and effects. Fast learners, some would try and trade by throwing out bits of fruit to get more of the oils. One old guy called Joao (65 years old!) pointed to a water bottle so Marc would bring it to him for a drink – he finished it all so was obviously thirsty. 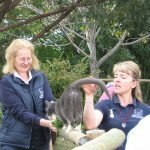 They were also attracted to the healing and appeared very relaxed, yawning and falling asleep, except for the alpha female, Jessica, who took exception to Liz standing so close to Marc and showed her jealousy by spitting at Liz who had to be quick on her feet to avoid being splattered! 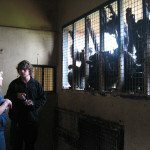 I stood in the background channelling healing energy to them all or making notes about the chimps’ reactions to what was presented to them. We were struck by how human they were – I know they share 98.9% of our genes but just how similar they are didn’t really hit me until I was up close and personal. Each one had their own story of hardship and abuse and each one dealt with it in their own way. 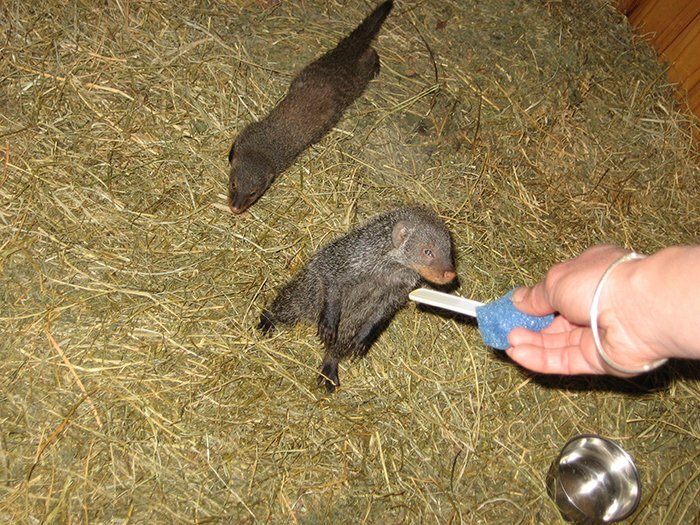 The younger ones played around in their spacious outdoor enclosures – rescued in time to avoid permanent emotional scars. Some older ones were not so lucky such as Cozy (brain damaged from being regularly beaten on the head) who had outbursts of aggression, throwing stones at the human onlookers before settling down to chew on his fruit, and Martha who tended to rock endlessly on one spot – a habit from being kept in a small concrete-floored cage for most of her life. 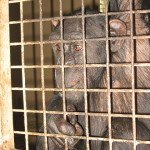 I felt humbled by their will to survive and so grateful to Jane Goodall’s efforts to rehabilitate and protect them. 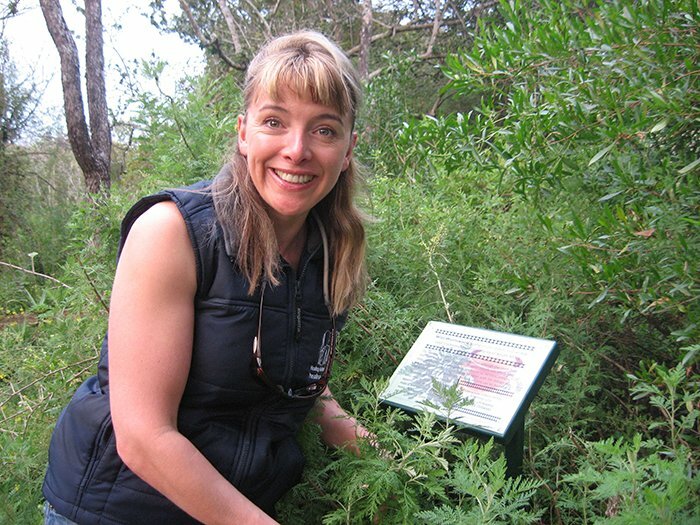 After spending so many hours with the chimps Liz was keen to explore some of the indigenous plant material in this region, so what better place than the Nelspruit Botanical Gardens. 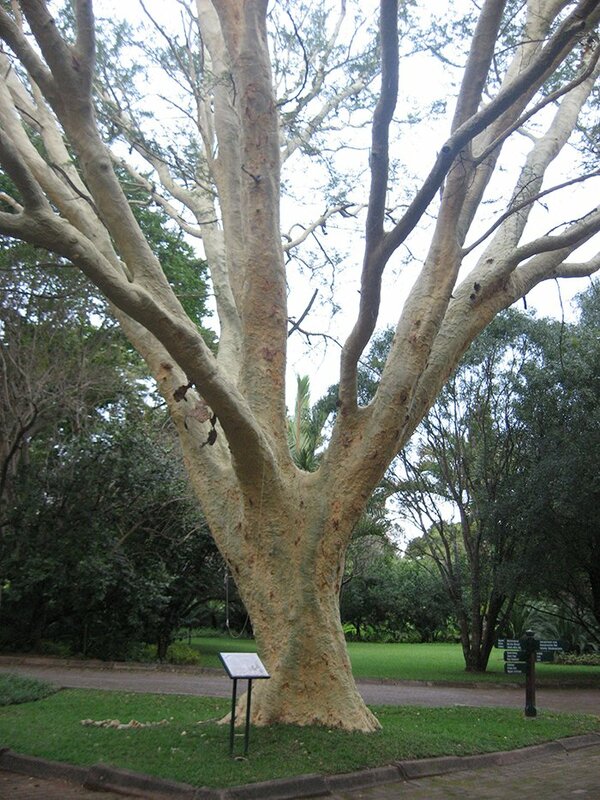 Nelspruit is the capital of the Mphumalanga province in the north east of South Africa. It is a well-developed city set in and around the valley where two great rivers converge; the Nel and Crocodile River. 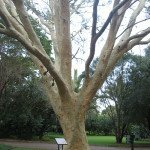 The Gardens are extensive with a magnificent array of plants and trees. 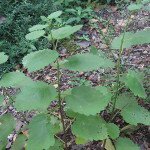 Liz was thrilled to find the quaintly named ‘Useful Plants Garden’ containing numerous medicinal plants such as Wild Wormwood with antibacterial, narcotic, analgesic and antihistamine properties , wild mint, and the Fever Tea shrub used for chest, stomach and skin disorders. We wanted to stay longer to see the hippos come out of the river to graze but this was impossible as the park closed before sunset. 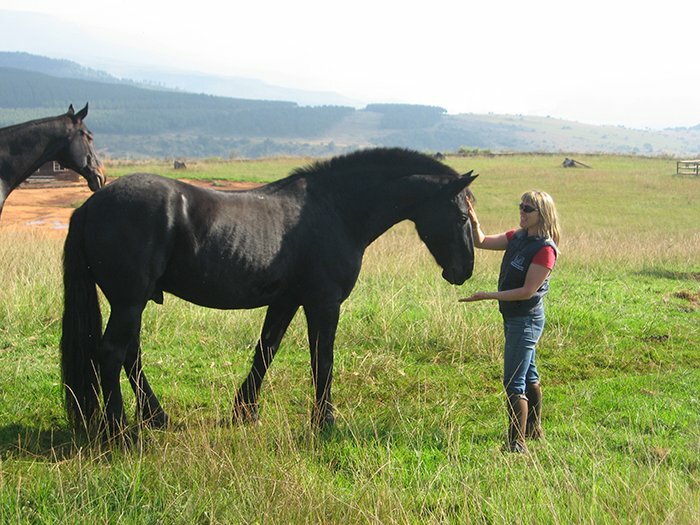 Monday 2nd May: Marc had told us about the wild horses found near the small town of Kaapsehoop and the ‘Horse Trails’ run by Christo Germishuys, who he felt,- would be very interested in Liz’s work. So we headed up into the Drakensberg mountains. 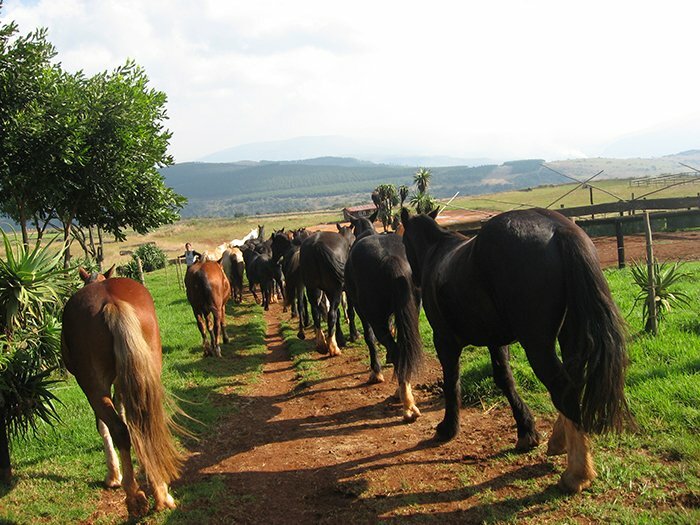 The Kaapsehoop Horse Trails enterprise, established by Christo in 1994, is based in a small homestead on a high plateau with stunning vistas all around – an idyllic hideaway. It is a land of carefully managed pine forests, young saplings abounded with clumps of aloe vera, wild flowers and large tracts of grassland stretching into the distance. Christo and Leon, his friend and assistant, were most welcoming and were indeed fascinated by Liz’s work. 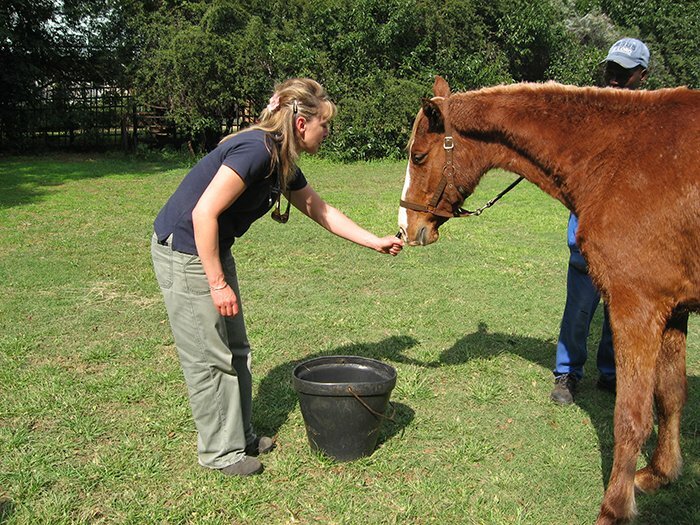 Christo is known in the horse world of South Africa – a book was written about him. 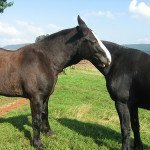 He and Liz had a long conversation about African Horse Sickness. 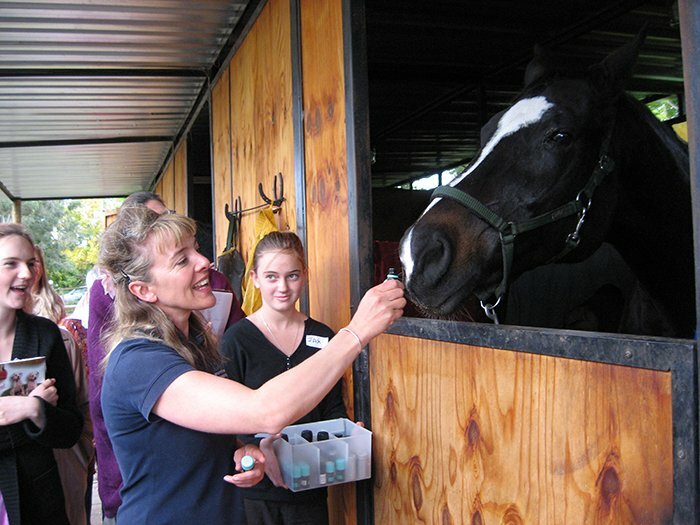 Liz is keen to help horses with this life-threatening problem. 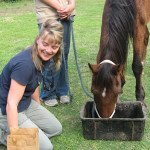 Christo has lost many horses over the years and was keen to hear of Liz’s equine herbal remedies she was using to help horses. Leon then took us on a ride around the surrounding countryside. There were breath-taking views across a large canyon to the violet misty mountain peaks beyond. 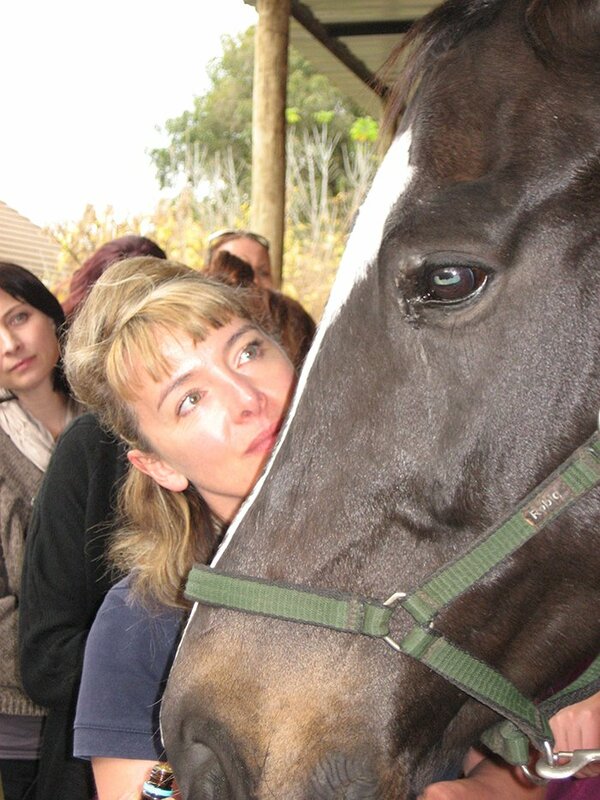 The rest of the day was taken up by Liz treating some of their horses while I gave healing to their dogs. They turn their horses out to roam free with the wild (but friendly) horses of that region in the late afternoon and we stood in the middle of the herd as they kicked their heels up or had a good roll on the grass. Whichever of their horses return in the morning are saddled up ready to take people for rides – a very democratic system! 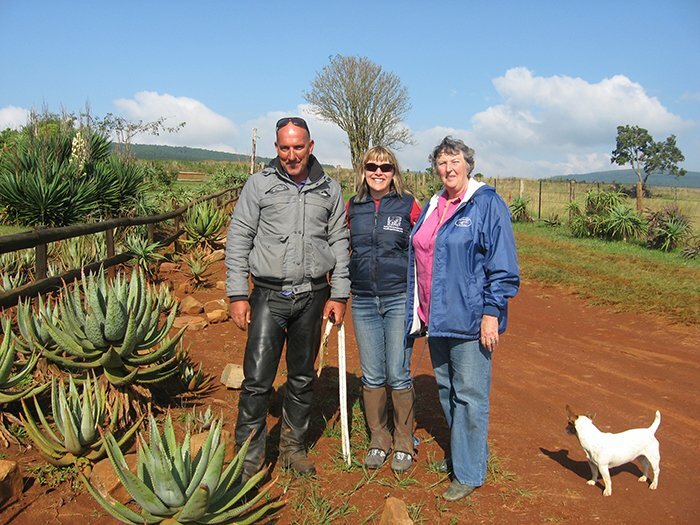 As there were so many aloes around, we cut some big leaves to make a topical application for the horses. 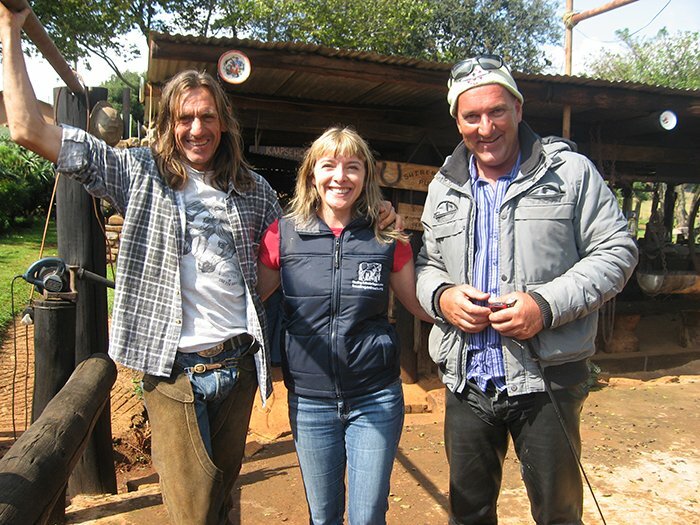 Christo and Liz exchanged books and after a round of warm goodbyes, we reluctantly left this beautiful place with its rarefied atmosphere (literally at such a high altitude) thinking what a perfect venue it would be for the equine course. 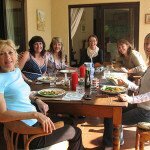 There are self-catering chalets for school groups or private clients so accommodation wouldn’t be a problem. 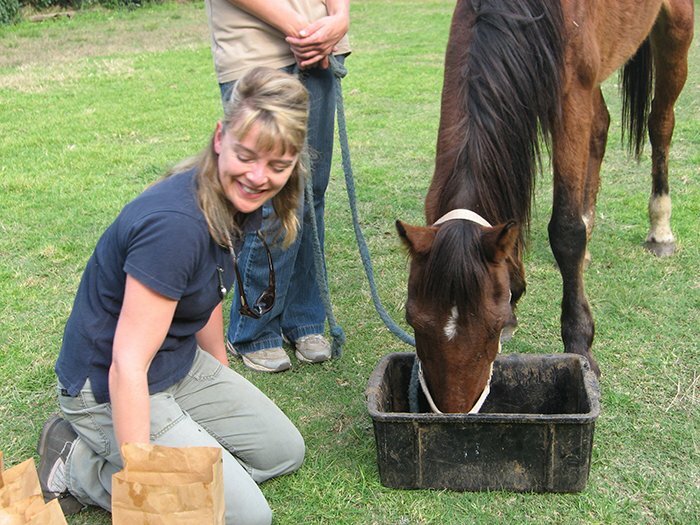 Besides leading wilderness horseback adventures, Leon also runs open vehicle safaris into Kruger National Park nearby. 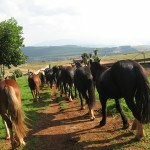 Both Christo and Leon had agreed that HAO volunteers would be welcome to come and help with the horses at any time – a fantastic opportunity to gain horse experience and explore the culture and natural attractions in this part of South Africa. 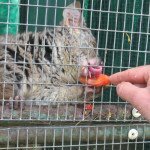 Tuesday 3rd May was spent at the Second Chance Wildlife Rehabilitation Centre near White River run by a courageous lady named Frith Douglas. 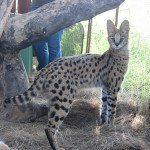 Only open for about a year, the centre is dedicated to rescuing unwanted, neglected or abused wild animals and birds brought up in captivity as well as injured ones found in the bush, in snares or on the roads. 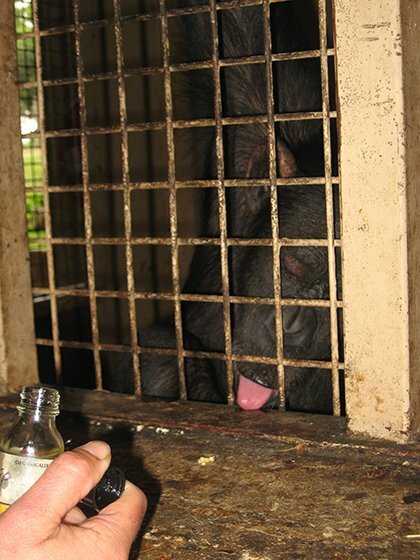 Where possible, rehabilitation takes place with a view to setting them free in the wild. 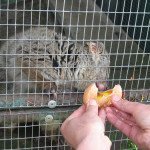 We worked with a bush baby deemed aggressive by its ‘owners’ – he ended up scoffing a lot of sardines, raw egg and tomatoes – he was simply very scared and needed a lot of love/healing. 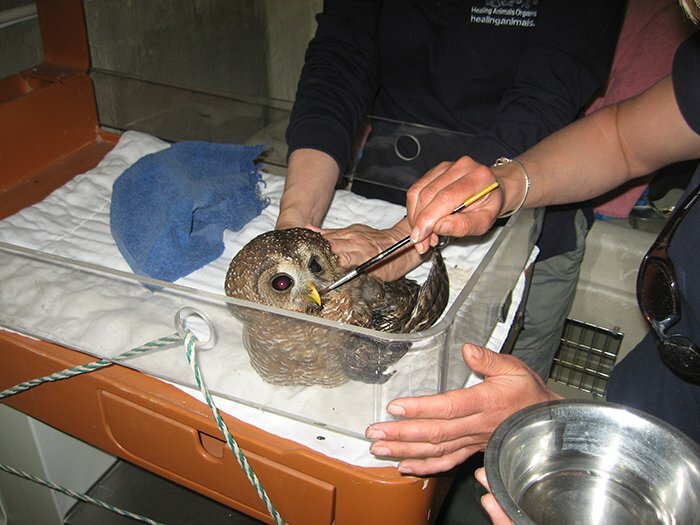 We also worked with a wood owl with a torn wing, a baby serval (looks a bit like a small leopard with big ears!) 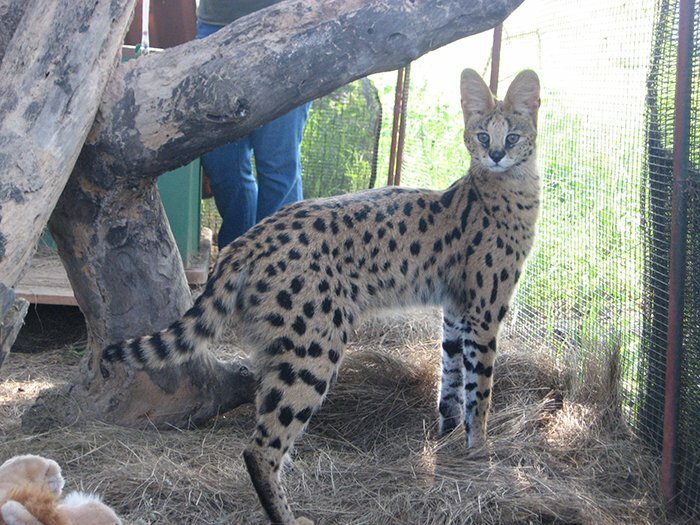 who had been abandoned by her mother, two inquisitive banded mongoose, a juvenile serval called Bubbles who adored catnip, and various of Frith’s rescue dogs – each with its own history. My favourite was Flooi (means ‘flea’ in Afrikaans) – a very small three-legged Jack Russell cross. 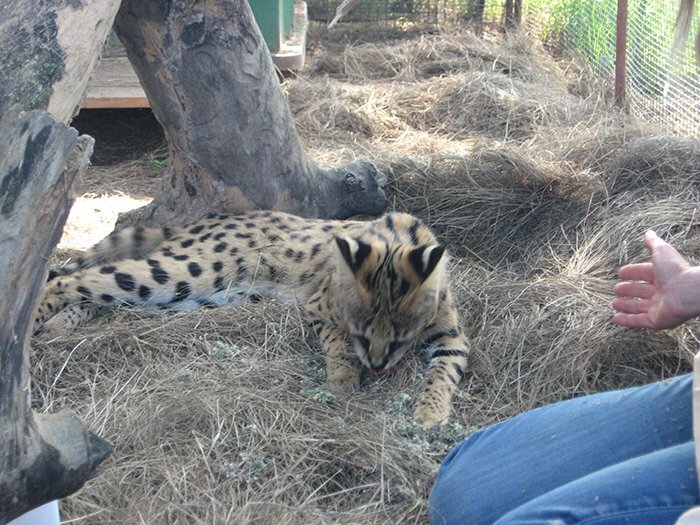 She was found caught in a snare, losing her leg as a result. She was pregnant but she still managed to give birth to two pups, one of which Frith kept and named Dobby (Harry Potter’s house elf) due to his big ears, sad eyes and having no tail. However, Dobby is the best snake catcher in the pack! Flooi has since survived attacks by a male antelope (she squeezed into his enclosure) and by the other dogs who view her as the weakest link due to her three legs – yet she still hops around bright-eyed inviting lots of cuddles! 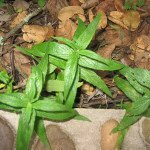 Frith and her helpers, Odette and Erica, were fascinated by the affects of the natural herb remedies and the healing, and were very grateful for our efforts. This is another place that will welcome HAO volunteers in future. Carol dropped us off at Kirby Lodge on our way back home so we could refresh ourselves with a swim before treating Isabelle’s four dogs and two cats. 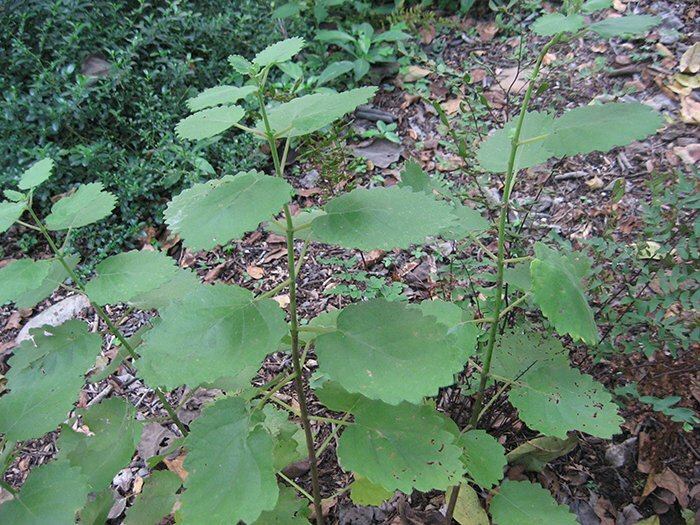 Isabelle had loads of herbs in her garden so Liz showed her how to make macerated oils and an aloe preparation for one dog’s allergic reaction to flea bites. 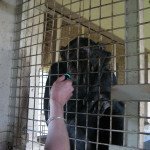 Wednesday 4th May: we had organised a follow-up visit to Chimp Eden and we spent the morning there. 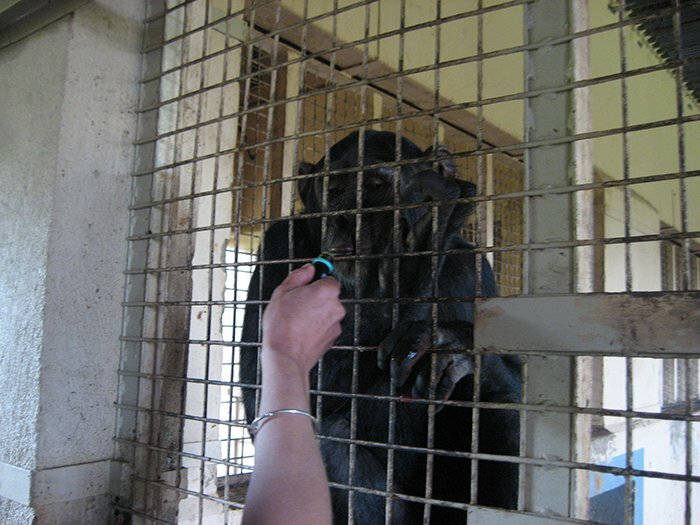 Liz had her second radio interview over the phone but this time walking around near the chimp enclosures! It was hard to fit everything in but we managed with careful planning. We were very grateful to Carol and Des for looking after us so well. Then onto Jo’burg, a different energy – vibrant and electric (some would say manic) compared to the soothing expansive nature energy of Mphumalanga. 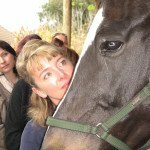 We arrived at Jane’s house after dark and were welcomed by her six dogs, nine cats and two horses – oh, and the other members of the Hay House team: Tracey, Tracey Jane and Michelle – a wonderful group of women who call themselves the ‘weird sisters’! 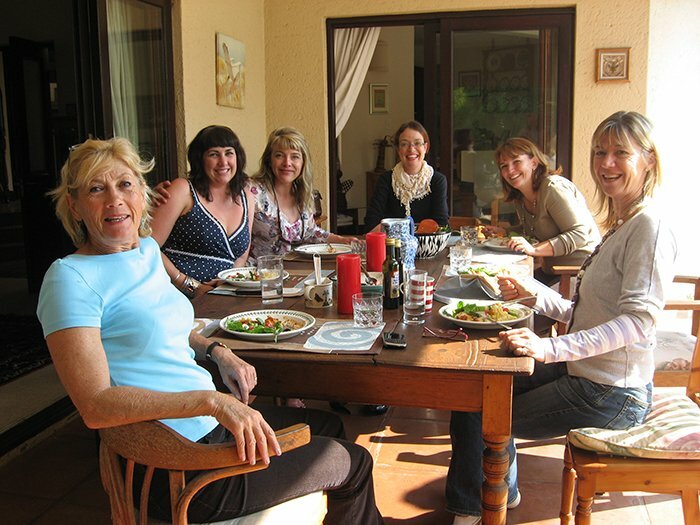 They had all been allocated roles: Jane and Michelle provided home-cooked five-star cuisine for us each day while Janice and Jane shared the driving duties. 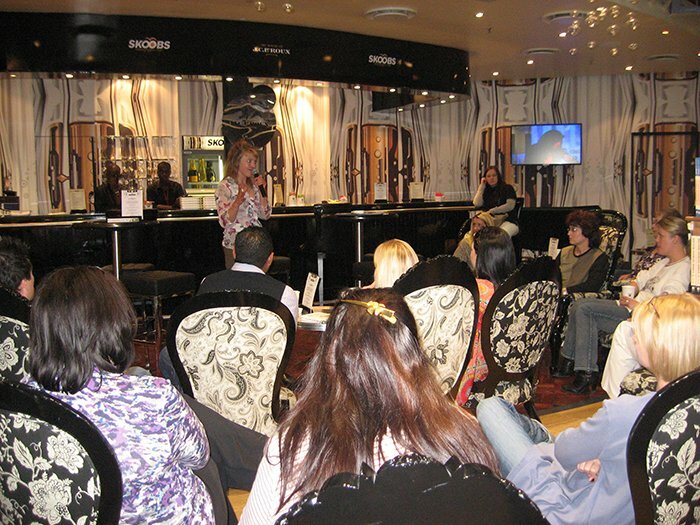 The others concentrated on orchestrating Liz’s talk and book-signing as well as the workshop to be held on May 7th. 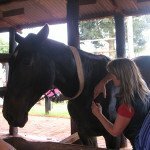 Thursday 5th May: Janice and Jane took us to visit the Highveld Horse Care Unit – one and half hour’s drive south east of Jo’burg. 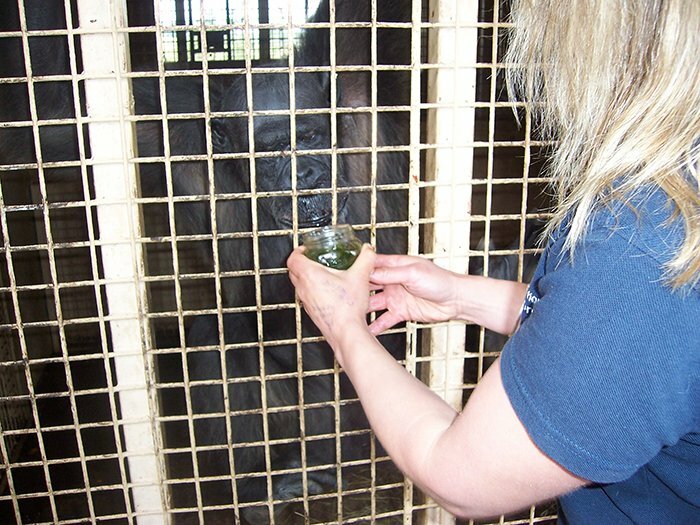 Bev Seabourne, the manager and driving force behind this rescue centre, was waiting for us with several ‘patients’ selected for treatment. 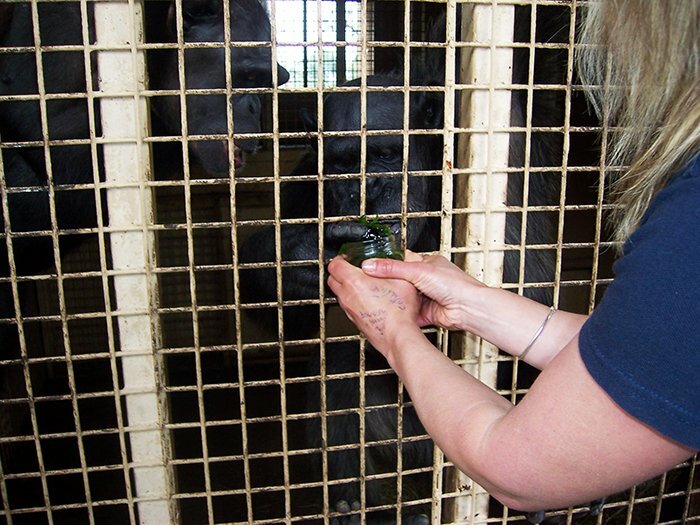 It was heart-breaking to hear their history, the newer arrivals still emaciated and covered with dying ticks from the dips. 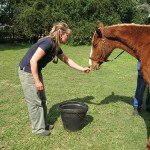 But it was fascinating to see how a previously depressed-looking horse would slowly come to life after smelling Liz’s homemade oils, eating dried herbs such as dandelion leaf, red clover or cleavers and receiving healing. 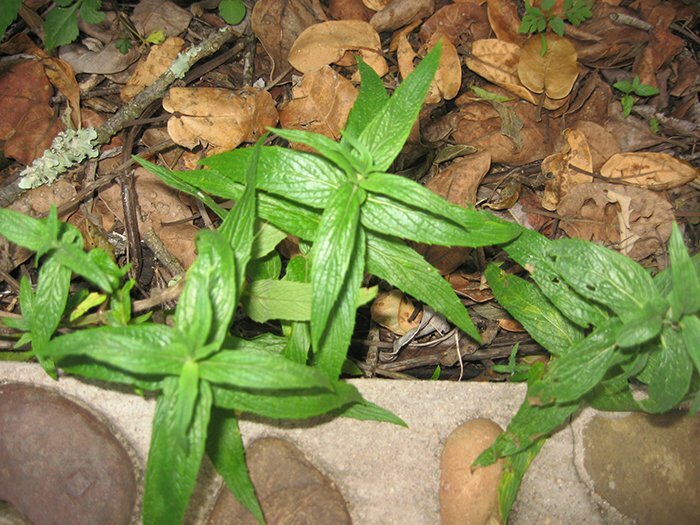 And Bev’s two dogs had a great time licking out any remaining chickweed or nettle oil from the horse feed box! 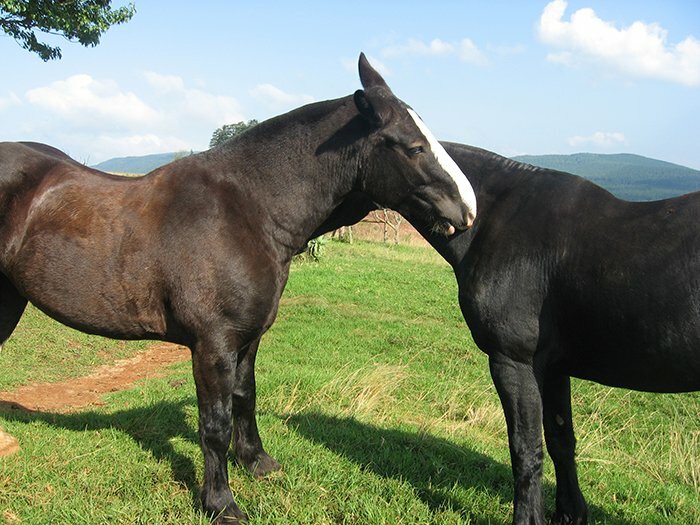 Bev offers rehabilitation to retired race horses with a view to finding them a forever home, but she also works with the SPCA taking in victims of cruelty. 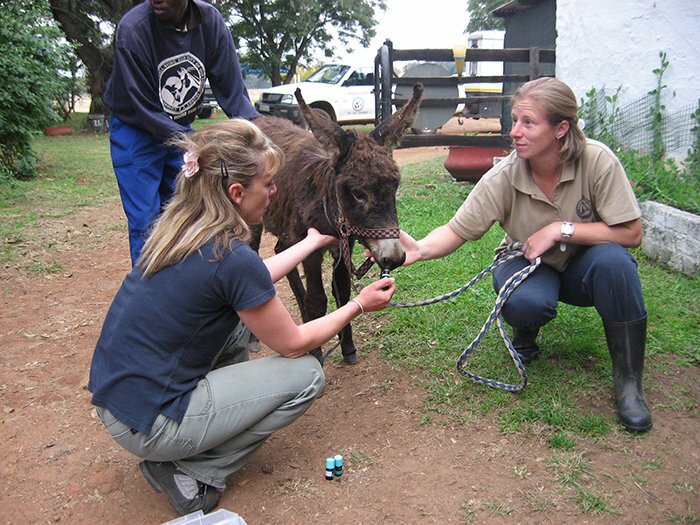 Many of these latter cases come from the poor townships, where the working horses and donkeys are notoriously neglected or ill-treated. 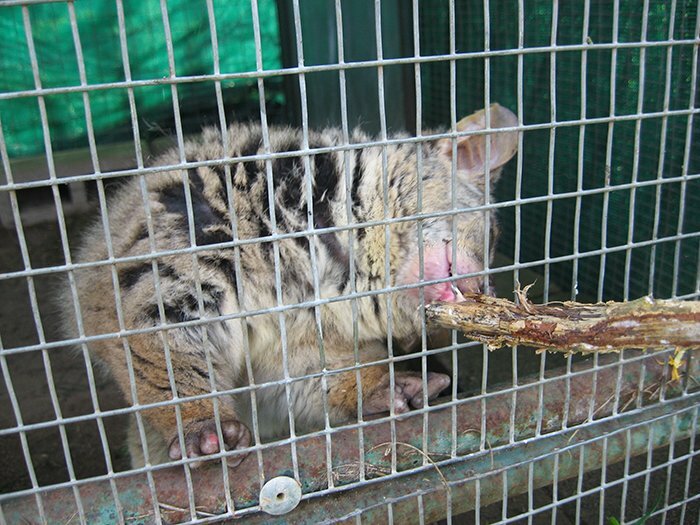 Unfortunately, unless criminal charges are pressed, the animal has to be returned to its owner once it has been nursed back to health otherwise the precarious relationship between the locals and the authorities would be ruined. 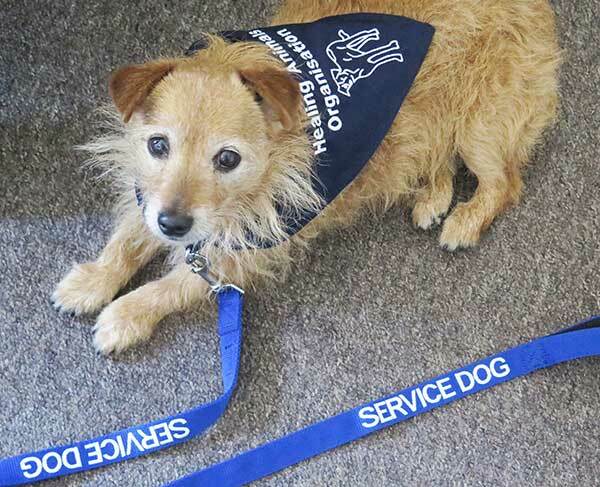 If all neglected animals were confiscated, the owners would never contact the SPCA for help. 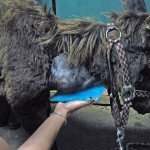 This way, at least the owners will get in touch when they finally realise their animal is need of treatment – sometimes it’s too late, as was the case of a beautiful baby donkey who was brought in just as we were leaving, hardly able to walk, head hanging low, skinny with matted hair and a huge swelling on the side of her neck. Apparently her mother was too ‘wild’ to catch and bring with her. The vet couldn’t come until the next morning. We all focused on Belle, as Liz christened her, for about three hours. I channelled healing while Liz shaved the hair off the swelling, which was hot and throbbing, to be able to rub an aloe preparation into it. Jane (a massage therapist) held an ice pack under it and gently massaged around it while Janice tapped (EFT) the base of her spine. Belle started chewing and licking, signs that she was beginning to relax, and finally leaned into Liz, about to collapse. 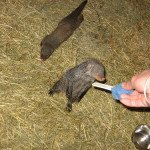 We got her into a stable and continued the treatment for a while. 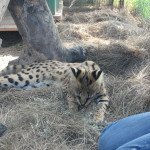 She recovered enough to slowly explore the space and drink some water. Then she was ready to lie down. We formed a semi-circle around her, joined by Bev, and Liz led us in a prayer while we channelled healing. It was an extremely moving experience for all of us. We left feeling we had at least made her a little more comfortable and surrounded her with loving healing energy. It was devastating to hear that she died the next morning. 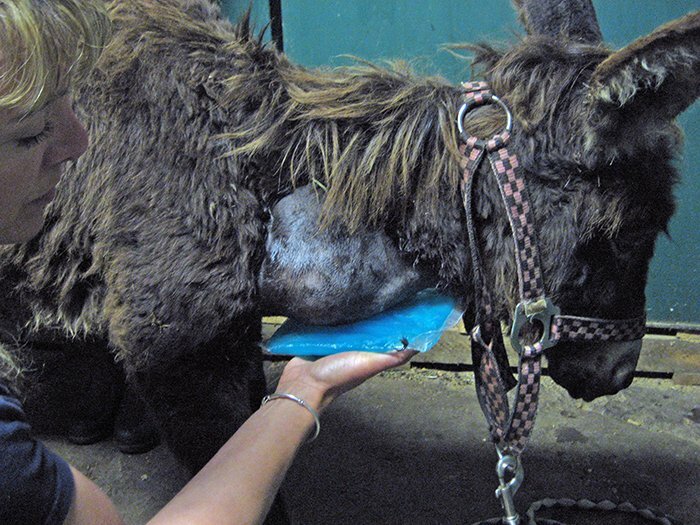 The vet lanced the abscess which was full of pus – her whole system had been poisoned and she died soon afterwards. If only the owners had contacted the SPCA the previous week when they first noticed the swelling, her life could have been saved. This story shows just how important it is to educate and raise the consciousness of people although this is hard to do when they are struggling for survival themselves. 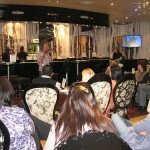 Friday 6th May: We got all glammed up for the talk at Skoobs, Jo’burg’s largest new book store sporting hanging basket chairs, a Zen sand garden, a coffee bar and a cocktail bar for their customers. Comfortable chairs and coffee tables were organised for those attending Liz’s talk, which went very well despite hearing the news about Belle’s death just minutes before it was due to begin. Liz stole herself away for a few minutes, too upset and reflected on the sad news she had received. 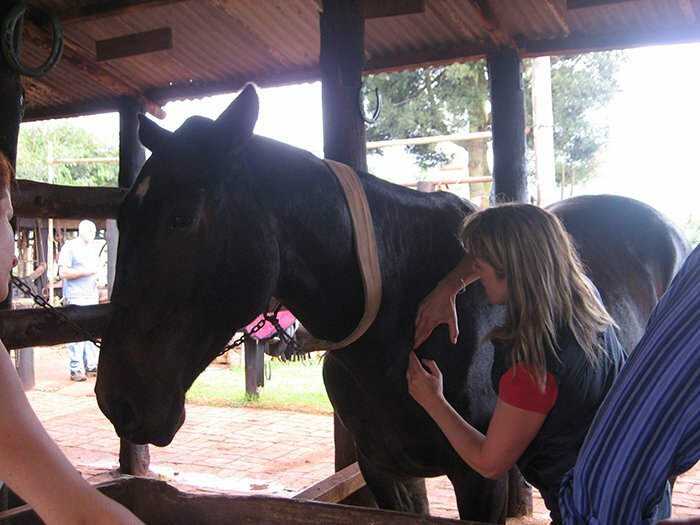 Liz composed herself and spoke passionately about the experience: passing around photos of Belle, advertising the work of the Highveld Horse Care Unit and dedicating the talk to Belle. When we got home, some of the team had already set up the table with Liz’s books and Doreen Virtue’s oracle cards ready for the workshop the next day. We had found it hard to let go of our sadness over Belle’s death so in the evening, Liz led Janice and I in a heart-felt prayer/meditation for Belle to aid her transition. Saturday 7th May: Janice’s house was a hive of activity. 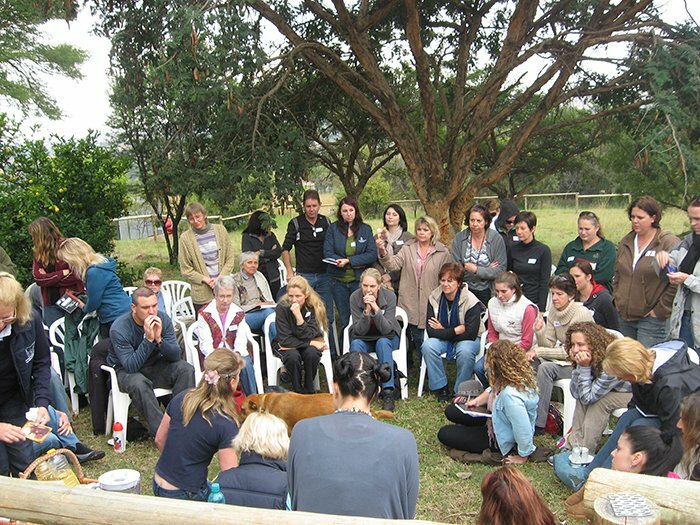 The Hay House team had arrived very early so by the time the first people started arriving for the workshop, the chairs were all arranged under the large tree in a paddock and the refreshment table was ready and a large pot of soup was bubbling in the kitchen ready for lunch. The ‘sisters’ also took care of parking, registration and generally everything possible to make the day go smoothly, which it did despite having to move indoors for a while during a sudden African thunder storm! 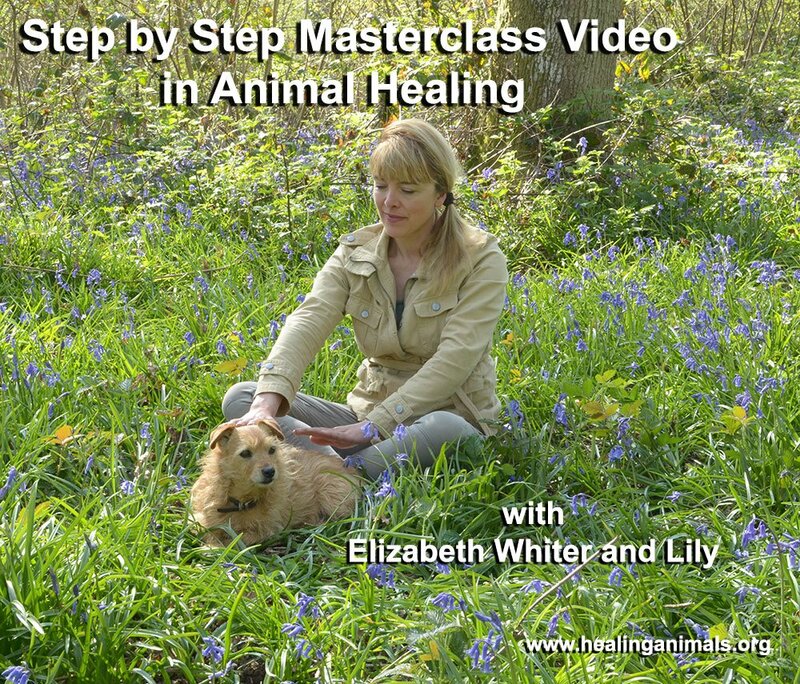 I concentrated on being Liz’s assistant for the day and channelling healing to ‘hold the space’. After the introductions and opening talk, everyone took an oracle card and Liz led a meditation. 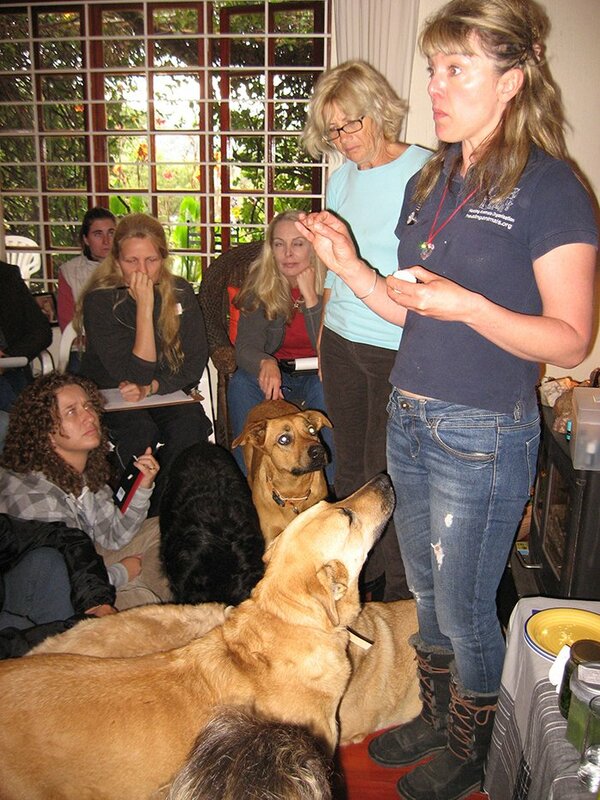 The feedback from this flowed into a demonstration of healing with several of Janice’s very willing dogs. 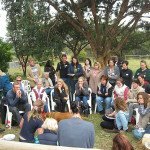 Soon everyone was clustered around, sitting on the ground with the dogs weaving in and out lapping up the loving energy coming from so many hands. 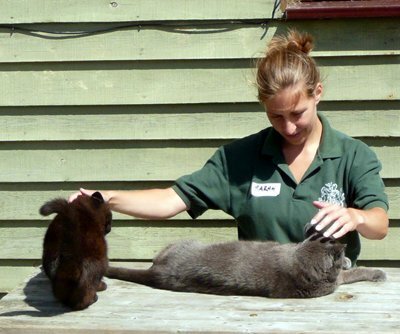 A couple of the cats then put in a star appearance, preferring to balance on a wooden rail to get their cat nip and some healing from Liz. The storm waited for an appropriate break so we all had time to get indoors to watch Liz treating Michelle’s pet rats with macerated oils and a selection of highly nutritious foods and duly fell asleep in the healing session. The dogs then muscled in for their share of hard-boiled eggs and other healthy kitchen cupboard treats. After a late lunch, the rain had stopped and we could go to see the horses, Boysie and Knight, waiting for us in their stables. 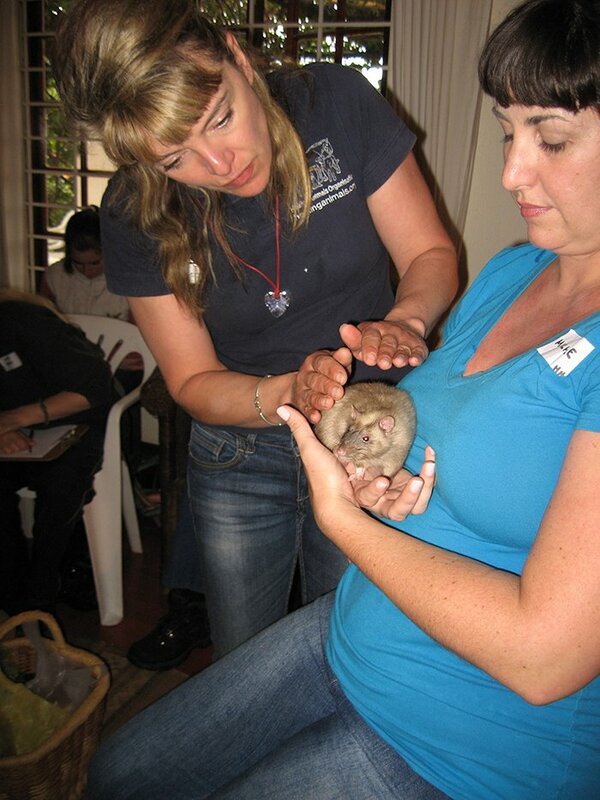 The dogs and cats came too, enjoying the attention of so many animal lovers. 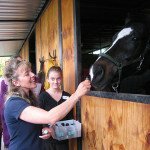 Besides offering the oils and dried herbs to the horses to self-select, Liz also encouraged some volunteers to give healing. This was followed by a question/answer time before the workshop came to an end. 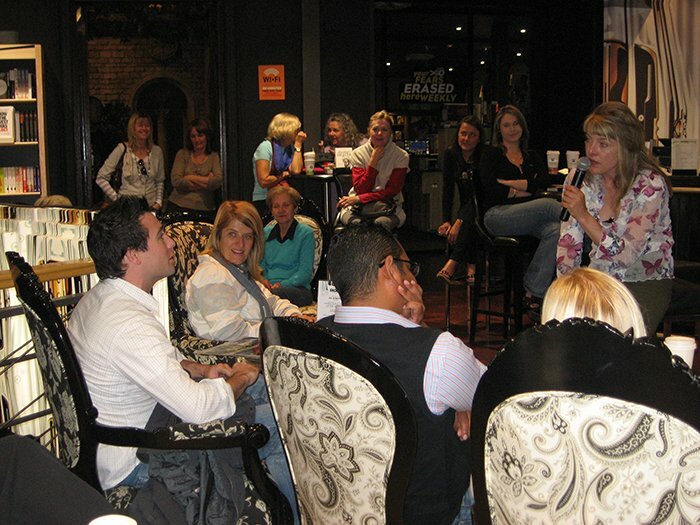 People were reluctant to leave and some stayed on for quite a while asking questions and sharing experiences. 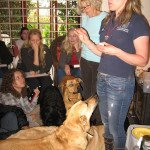 There were a lot of people there already involved in various complementary therapies and many expressed a strong interest in the Diploma in Animal Healing. Sunday 8th May: I will admit that I didn’t want to get up this morning! 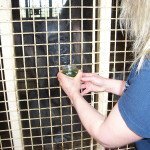 I was tired – so was Liz but she was up early to give Knight some more treatment and to get ready for some private consultations. 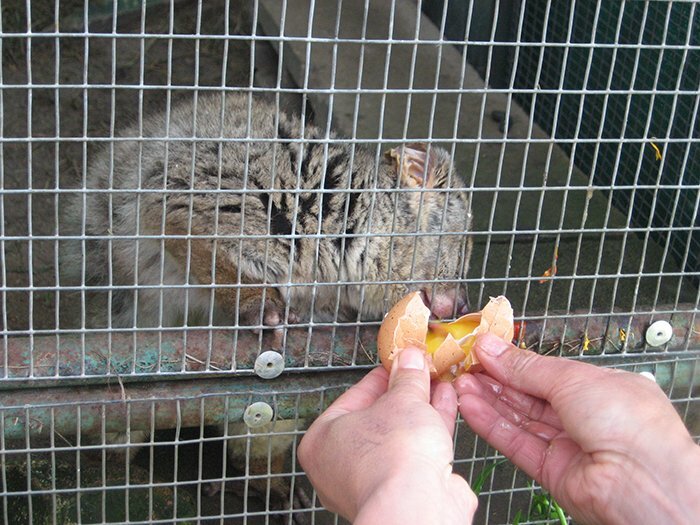 The first were two cute African Tree Squirrels, followed by some lovely dogs. It was really interesting to watch Liz in action; consultation form in hand, offering oils, healing and feedback with constructive suggestions. 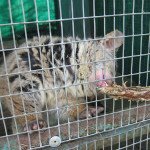 The animals soaked up the healing and the carers left with brighter eyes and a lighter step. It was time to leave for the airport and I found a birthday card from the Hay House Sisters in the pocket of my hand luggage. Jane had slipped it in when I wasn’t looking knowing it was my birthday the following day. I felt blessed to have met such wonderful women who are so supportive of everything Liz and the members of HAO are trying to achieve. Janice brought Liz later on as she was on a different flight. 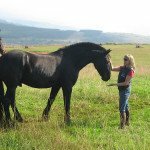 We had arranged to meet up in the departure lounge and there Liz came with only a few minutes to spare before boarding as she had given Janice a riding lesson and fitted in one more healing before leaving for the airport – what a power pack of energy! Unfortunately, my flight was delayed by three hours but Jo’burg airport is a great place to be with enticing shops and comfortable eateries. I was sad to leave this rainbow nation with its amazing landscapes and wildlife; a nation full of diverse cultures with the present challenges of transcending past prejudice and fear in order to create a more harmonious reality for all – not only with each other but also with the animals who share this wonderful land. But my sadness didn’t last – this was the beginning – the first step of many for HAO in South Africa – and I knew I’d be back. As I sit here now in my Bristol home writing about this experience, I am full of gratitude for all my blessings. 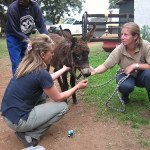 I am grateful to my parents whose generosity enabled me to do the Diploma in Animal Healing and to make this recent trip to Africa. 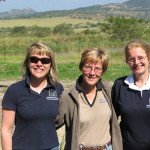 I am grateful to Liz for being an inspirational teacher and supportive friend, and to all those who encouraged and helped us during our time in South Africa. And I am grateful to the angels, guides and teachers who have helped me and continue to help me along my path. I strongly urge any members of HAO to take the plunge and go abroad as a volunteer whenever they can. 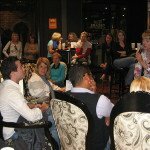 The healing experience is invaluable and you learn so much about new cultures and approaches to life. Yes, it can be tough at times – but the healing, love and joy that you can sprinkle around makes it all worth it. Alison Saunders MHAO 20 May 2011. 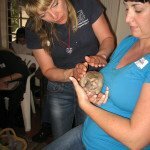 We work all over the world offering professional relaxation techniques to animals in need. 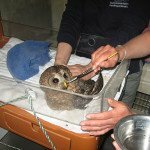 We are invited to work with hundreds of leading animal charities and help in rehabilitation, outreach programmes, rehoming and wildlife rescue and protection. If you would like to make an appointment for a one-on-one consultation please phone 01273 891472 or contact. Elizabeth is unable to conduct consultations by phone.